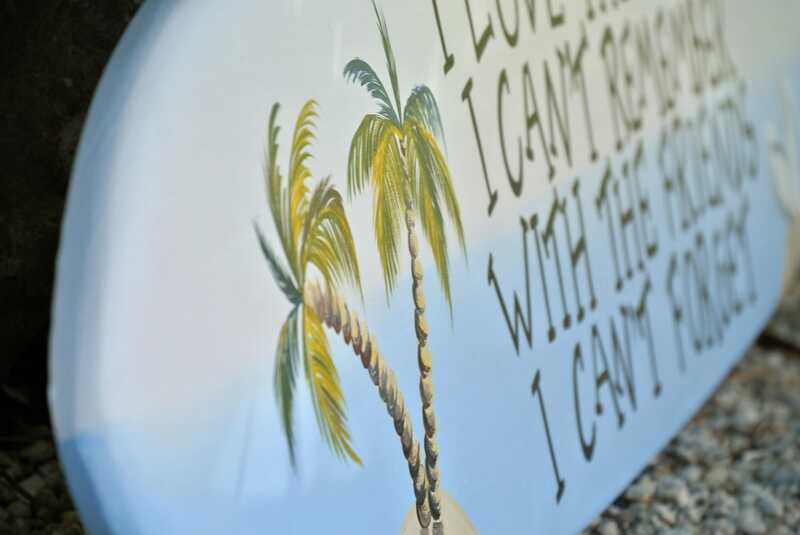 Wooden Surfboard Decor friends gift. 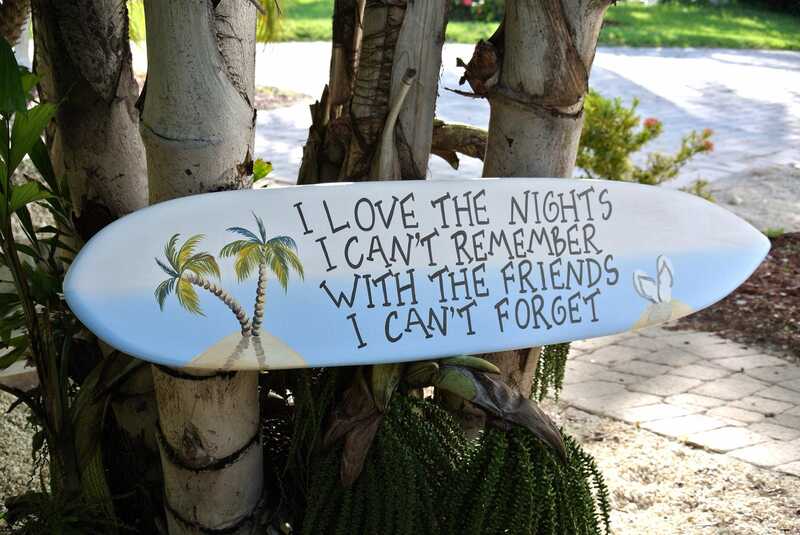 I Love the Nights I can't remember beach House Sign, Tiki bar Pool decor. 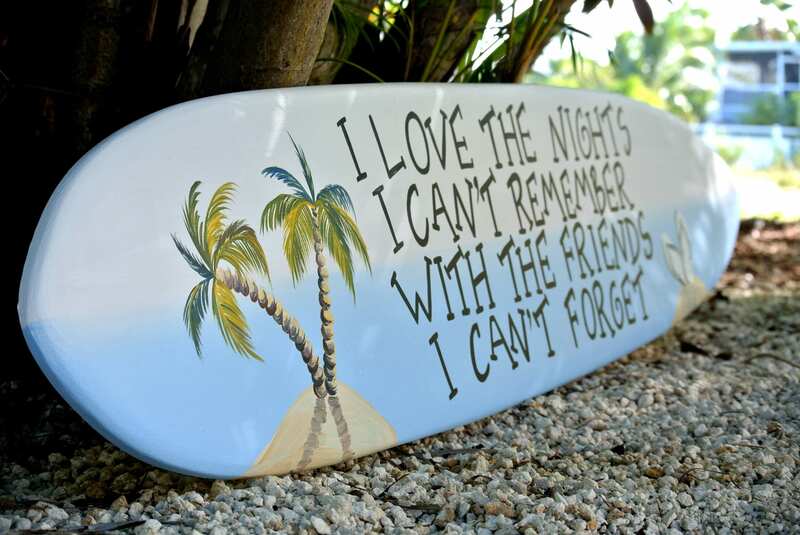 "I Love The Nights I Can't Remember With The Friends I Can't Forget" Wood Surfboard Sign would be an original present for your dear and lovely friends to remind you unforgettable time, holidays, camping and other you spent together. 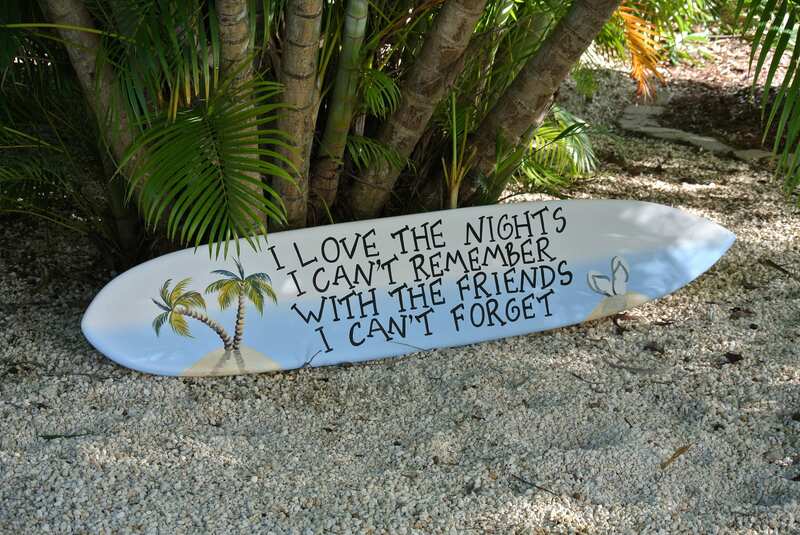 Would be a great addition to your Beach Bar, Garden, outdoors, yard, beach House. 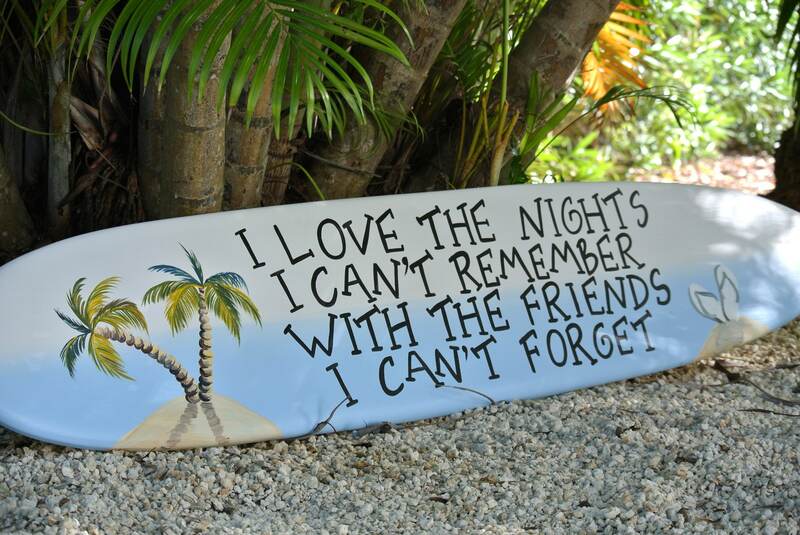 The Sign is made from high quality wood, hand painted and coated for good people in Key West. Different length available from 3 to 5 feet. 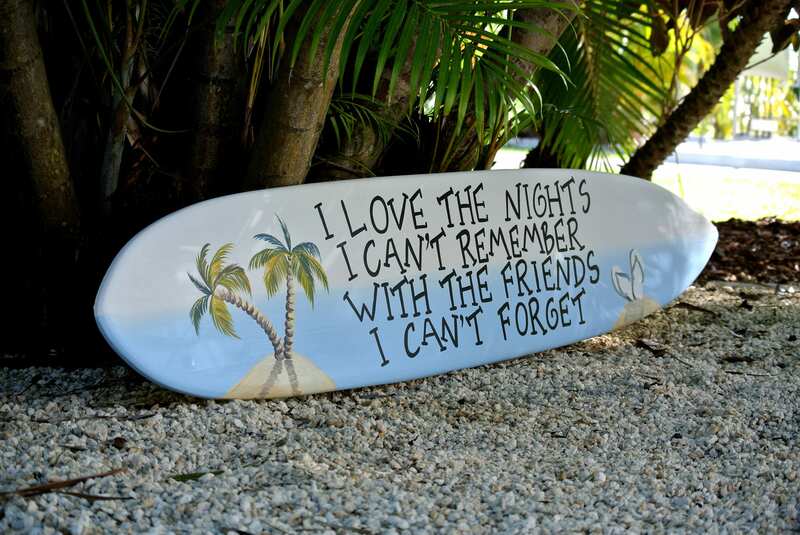 All boards are 11 inches wide. Comes with two keyholes on the back side for fast easy wall hanging. ready for house or porch displaying for years.